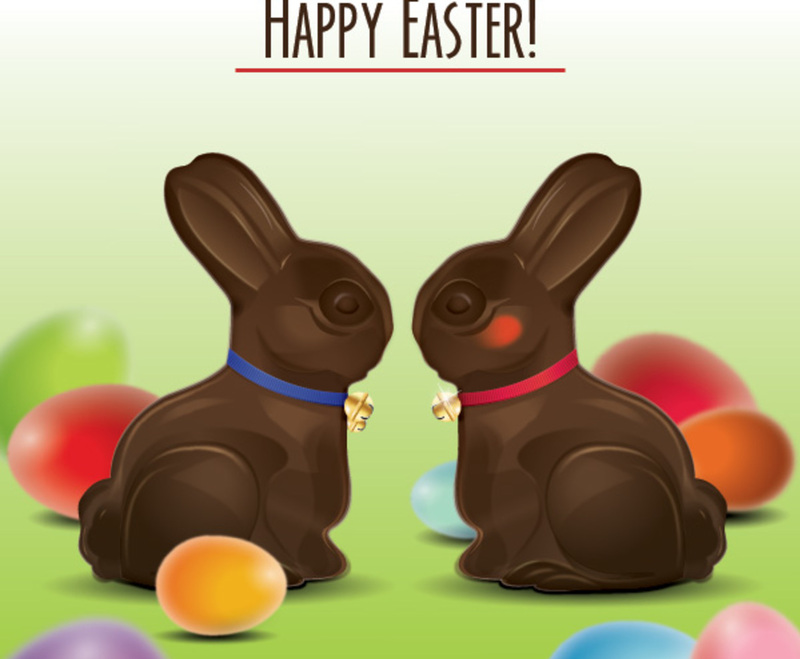 This sweet holiday graphic features a cute pair of chocolate bunnies, and it's a terrific way to wish someone a Happy Easter. The two smooth figures face each other in a field of colorfully dyed eggs. They're outfitted in ribbon collars, decorated with bells, and the bunny on the right is blushing, possibly suggesting a romantic theme to the image. The Easter eggs are slightly blurred, which helps to focus attention on the rabbits. The words “Happy Easter!” top off the square page, underlined in red for emphasis. It's a fun, pastoral scene, and it works well on web pages or as a greeting card.